The era of entry level performance biking has finally set upon the Indian market with more than a couple of offerings already available. 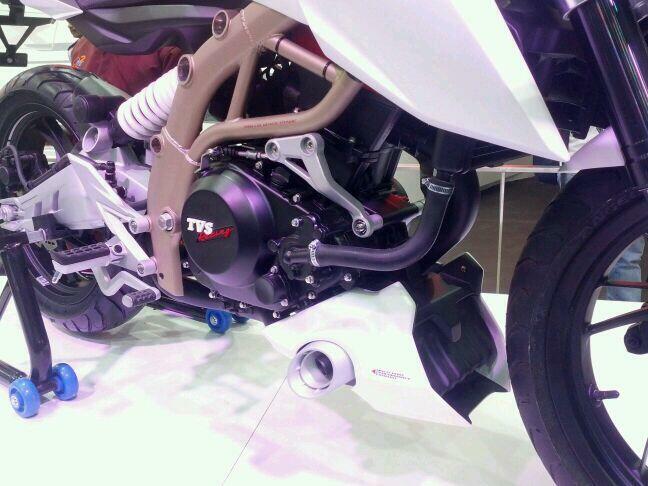 TVS has now showcased it's intent to join the performance fray with the hot new Draken - the X21 concept. The bike is a edgy naked with an exposed trellis frame. What stands it apart from the crowd is the offset monoshock rear suspension that's sprung off an interesting looking swingarm. There's a muscular pair of upside down forks up front. The Draken gets extreme wave disc brake rotors both in the front and at the rear while ABS is part of the package. 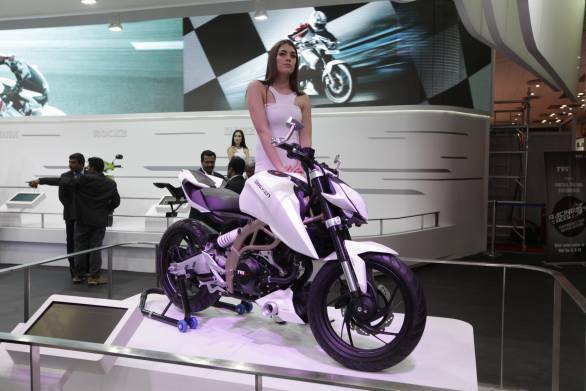 The engine is a short stroke liquid-cooled 250cc single that has been engineered using inputs from TVS' racing experience. The exhaust ends just below the engine, keeping the minimal but muscular design theme in mind. The dials are all digital. The bike has a 120 section rubber up front and a fat 160 section at the rear. TVS claims that the Draken is currently just a concept and the company will gather public response before putting it to production. We think it's a great formula and will pave the way for new 250cc or higher segment of sporty machines that will sit above the RTR range. Expect to see a production ready version by early to mid-2015. 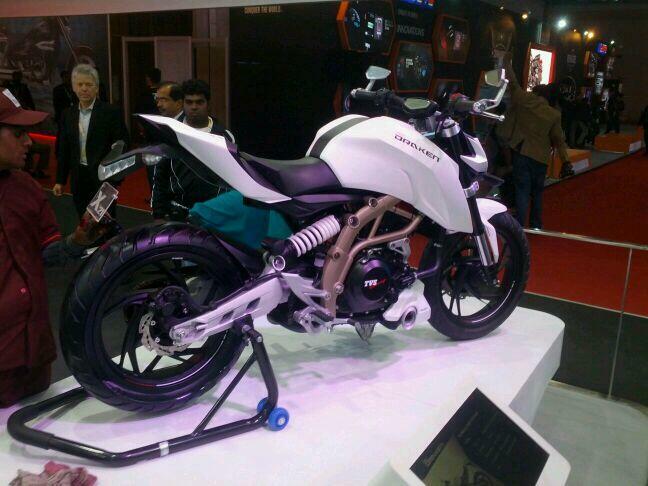 Auto Expo Day 1: 5 bikes you should not miss!